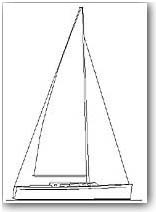 Design 001 - A 34 foot coastal cruiser sufficiently strong for offshore voyaging requiring only equipment upgrades. 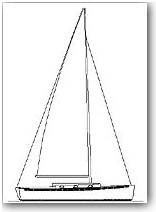 Moderate beam ensures good seakeeping characteristics and, coupled with efficient foils, excellent windward ability. Variant A, top right, has traditional styling evoking English pilot cutters. Variant B, below right, shows the same basic design and concept with more modern styling.